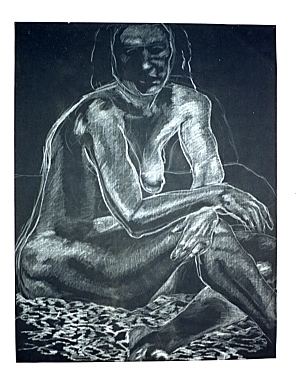 The Contemplative, conte on paper, 1995. Copyright 2005 by Richard Preston. You must have permission in order to reproduce any of the work on this site.